The Telecom Regulatory Authority of India (TRAI) on Monday rolled out MyCall application, along with refreshed versions of Do-not-disturb and MySpeed applications to crowdsource customer data to improve end services in the country. These apps will enable real-time feedback from over 1 billion users, thereby will help telcos to enhance the quality of services. The telecom regulator has also revamped its own website for making information access easier for consumers. “In consonance with the vision of digital India, Trai places greater reliance on technology to communicate with a consumer base of over 1 billion spread ‘across its vast geography. TRAI launched a couple of Mobile Apps last year with this vision in mind. Encouraged by their success and acceptance by consumers, Trai has developed more consumer oriented Mobile Applications and also a new Portal and a website,” the regulator said in a statement. The TRAI chairman RS Sharma said that crowdsourcing was the best way to get customer feedback, better and cost effective than surveys or other studies. “We’ve tried to leverage this technology tool in the past for bringing out the true picture of the impact of the service. We’re trying to improve the collection methodology where Trai will pick up the data charges for providing the feedback to the regulator, ” he was quoted as saying by media. 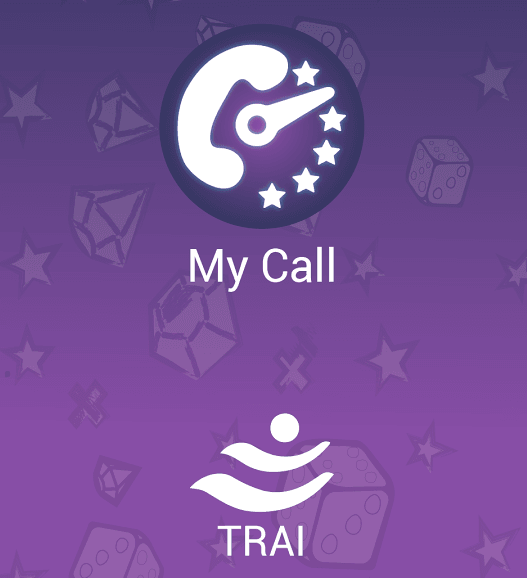 TRAI MyCall is an Android application for crowdsourced voice call quality monitoring. The application will help mobile phone users rate their experience about voice call quality in real time and assist the Trai in gathering customer experience data along with Network data. The app is intuitive and user-friendly. A pop-up request will be sent to the user to rate the call after it ends. Callers can simply select their rating in the form of stars and indicate if the calls were made in indoor, outdoor or while travelling. Callers can also provide additional details such as noise or audio delay or mark a call-drop if they believe that’s how the call got terminated, the regulator said. The MySpeed App allows customers to measure 3G/4G cellular data speed and send the results to TRAI. The app does not collect any personal user information. The new version of TRAI MySpeed App being launched will enable Trai to obtain test data from users in all service areas, without any action by the users. These tests would be brief, very infrequent for a particular device, free to the user and anonymous. The user may also do a test and submit the results, as before. The revamped TRAI website will enable free online subscriptions, online submission of responses to consultation papers and online registration of open house discussions, among others.